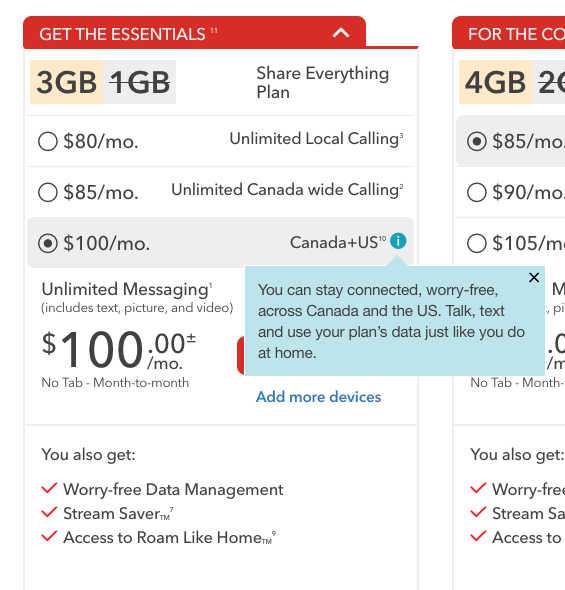 Rogers has quietly added a new ‘Canada+US’ option to its Share Everything plans, which allows Canadians to use their existing plans when they travel south of the border. The new Canada+US option costs an extra $15 per month, so to get it with an entry BYOD (bring your own device) Share Everything plan at $80 per month with 1GB of data (currently a promo offers 2GB bonus data), it costs $100 per month. Rogers says the plan allows you to “stay connected, worry-free, across Canada and the US. Talk, text and use your plan’s data just like you do at home.” The option is available on all Share Everything plans, even on the 80GB plan, which works out to $425 per month (come on, it’s just money, live a little). Unsurprisingly, this new travel plan from Rogers matches exactly what Telus and Bell have for their customers—a $100 per month plan with 1GB of data for use in Canada and the USA (data bonuses are the same). 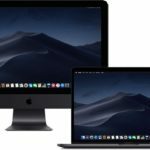 If we’re on the topic of wireless carriers copying each other in Canada, Bell recently increased their connection fee to $35, a move yet to be matched by Rogers and Telus.